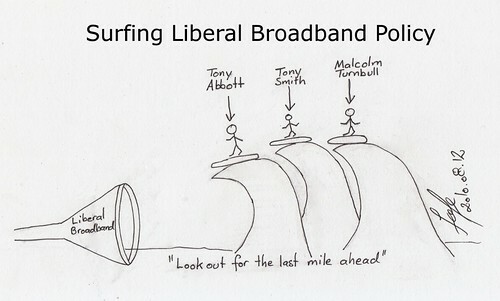 Tony Abbott, Tony Smith and Malcolm Turnbull tryout the new Liberal broadband policy. Surfing the Internet, just lookout for the last mile. This entry was posted in Humor, Tech and tagged broadband, cartoon, election, Liberal, Malcolm Turnbull, NBN, Tony Abbott, Tony Smith. Bookmark the permalink.